The mere mention of Berlin is often enough to conjure thoughts of street art, underground music and offbeat urban adventures. Such associations fit quite nicely with my concept of the ideal city, so I made my way back to Berlin in September to emerge myself in the creative city for a second time. I came to realise that Berlin is bold and potent; a city where anything goes but nothing has to be; where dogs are almost always welcomed. I met people of many backgrounds, who have travelled from faraway lands to become part of the the brightly woven fabric of locals. I saw more artists in one city than I’ve seen before. I found amazing international eats, quirky cafes and moody bars. I discovered Berlin is a wonderful city for cycling, has a thriving market scene, and has many vintage shops that made squeak with delight. 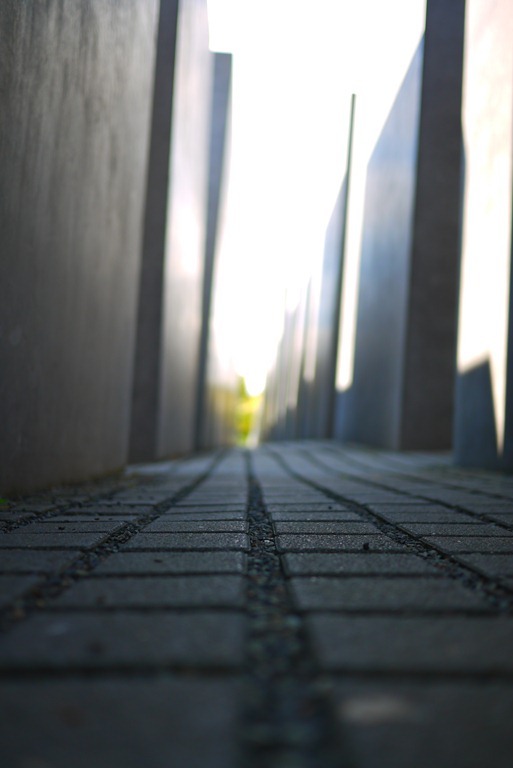 I heard music worthy of all the hype and, of course, visited monuments that tell so much about the dark and complex history of Berlin, Germany and Europe. Here is a little bit about the highlights of my most recent week in Berlin. 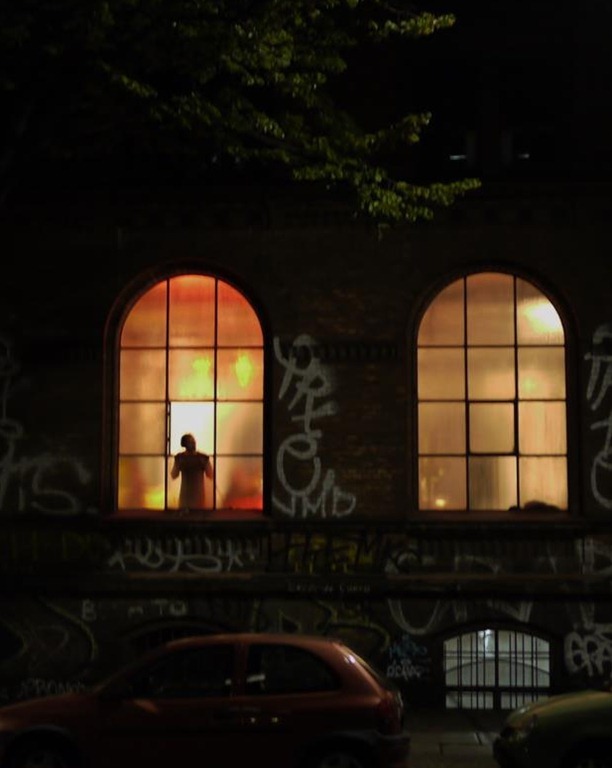 It is commonly said that Berlin is a city of foreigners; a city where cultures, ethnicities and histories refract into a kaleidoscope of possibilities. This is arguably most apparent in the happy range of international cuisines available as everyday fare across Berlin. Having been travelling Europe for seven months by the time I arrived in Berlin, I was admittedly giddy from the idea of eating foods of lands beyond the continental borders. First up, was a steaming bowl of Vietnamese pho, followed by Mexican tacos, Japanese sushi, Lebanese falafel, Afghani chutney, Indian tikka masala… I also delighted in German dishes, such as must-try currywurst and a hearty pork knuckle with sauerkraut, bringing my palate full circle in a mini culinary exploration of the world. 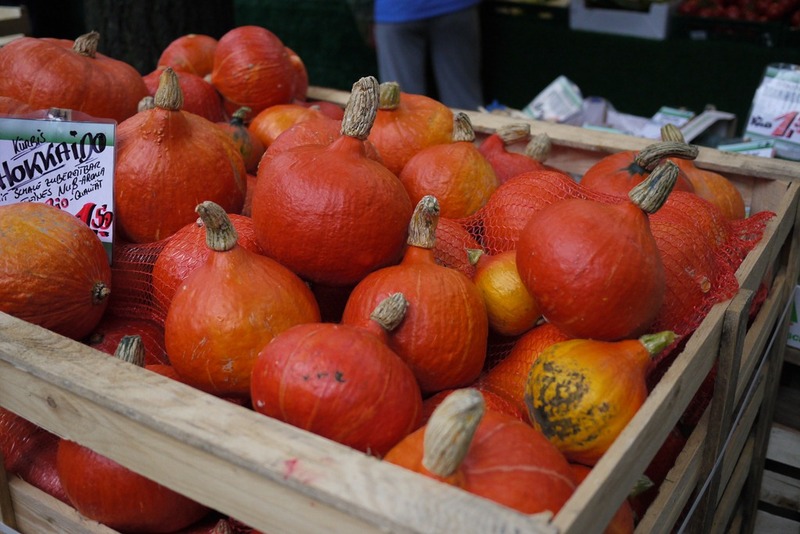 Stay tuned for my upcoming foody post, ‘Travel. Food. Photo. 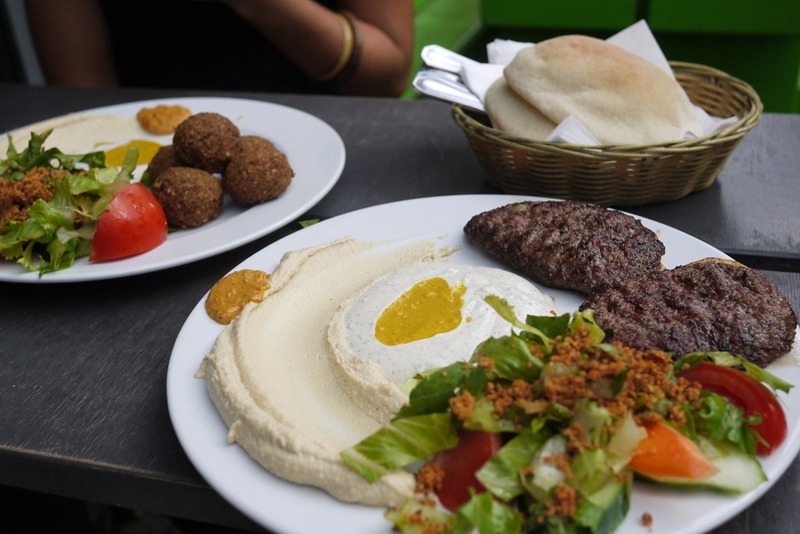 Berlin.’ for tips about where and what to eat in this cheap and diverse dining city. 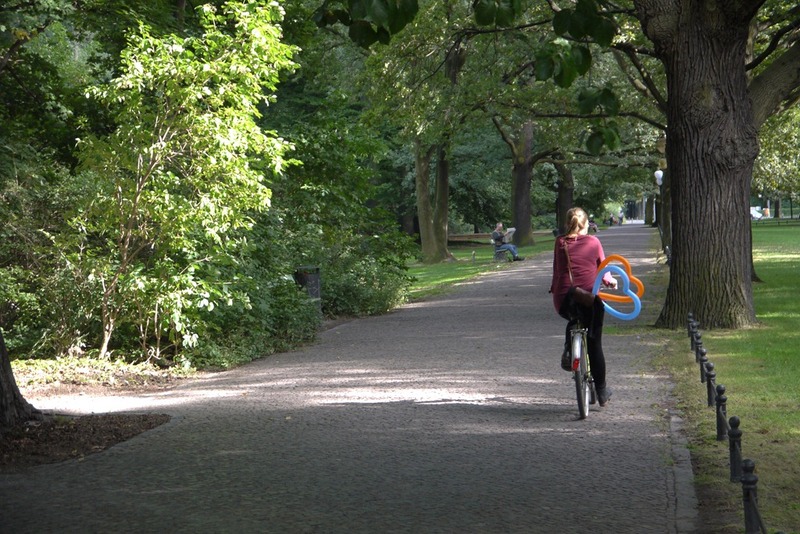 With flat terrain and generous cycling infrastructure in wide, orderly streets, Berlin is an easy city to explore by bike. Actually, I’ll go so far as to say it’s the best city I’ve had the joy of cycling. Apart from being a zippy means of transport in a bike-filled city, cycling also allowed me to see much more than I would have managed on foot. 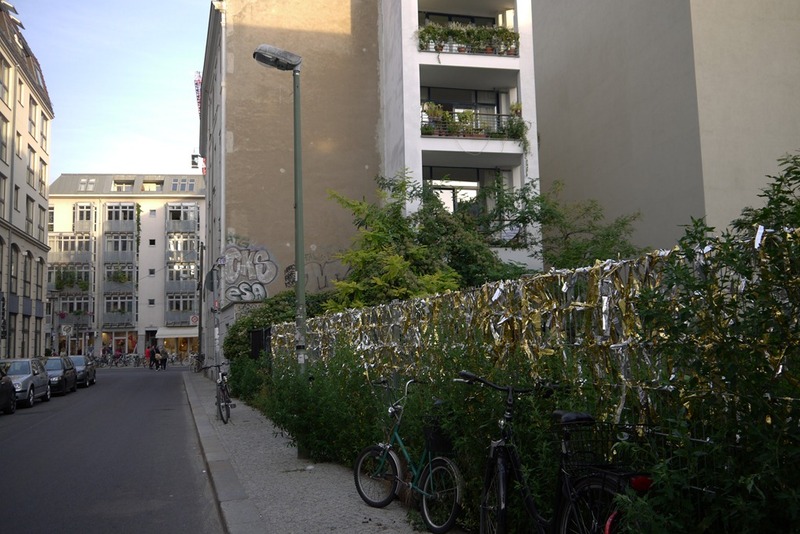 I dedicated a day to exploring inner-city areas by bike: the sprawling inner-city green of Tiergarten; the boutiques of Mitte; the cafe-filled streets of Kreuzberg and Friedrichshain.. 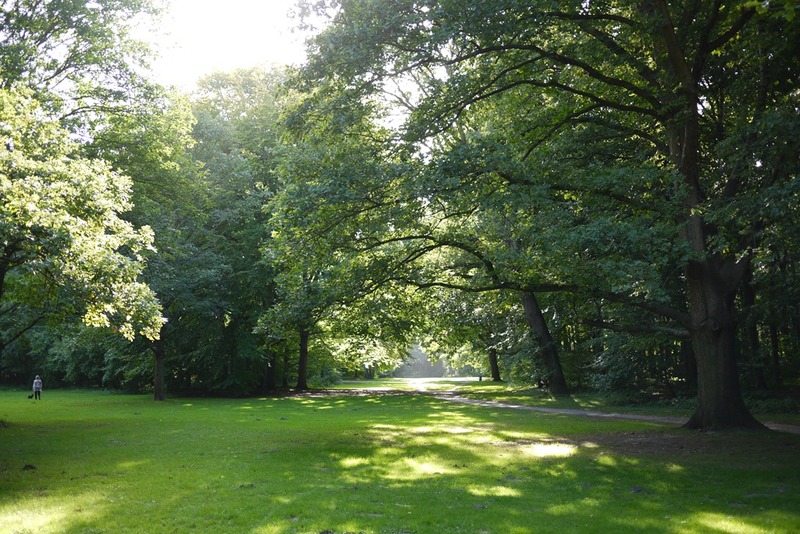 In Tiergarten, the city’s central park so to speak, I found lush lawn and wide-leafy paths in dappled light. I met a clown with heart-shaped balloons and found an epic jungle gym (that kept we three adults happily playing for an hour). Between the many green spaces were ponds with ducks, trickling creeks and other happy bike-riding tourists, who presumably, like me, forgot their idyllic natural surrounds sat in the middle of one of Europe’s most popular cities. Riding through the inner suburbs in search of boutiques, art and shopping was just as fun, as I wove within the cyclist-thick traffic. Suited riders, grocery-laden baskets and deep stacks of patiently waiting wheels were just some of the clues to city’s love of two-wheeled transport. Market culture is one of my favourite things in any city, but add the eclectic, kooky character of Berlin, and you have yourself a particularly fine day of market entertainment. the almost hidden little arts and flea market near Badehaus on Revaler Straße, where art prints, clothes and crafts occupied my idle time (despite the rain) and nearby walls upon walls of graffiti brightened the scene. 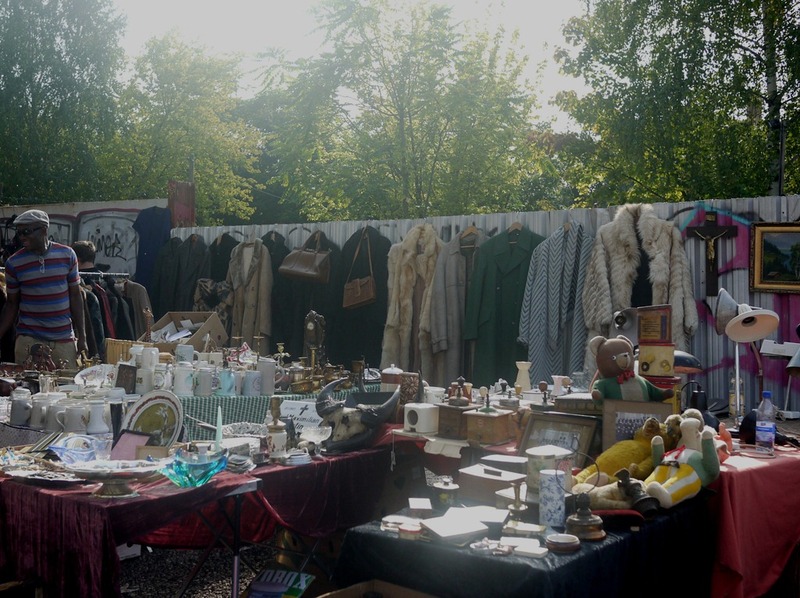 the wonderous monstrosity that is Mauerpark Flea Market on Sundays at Bernauer Straße 63-64 (near Eberwalder and Voltrastr U-bahn stations), where vintage wares are king and bargains can often be found, despite the market’s increasing popularity with us dear tourist folk. 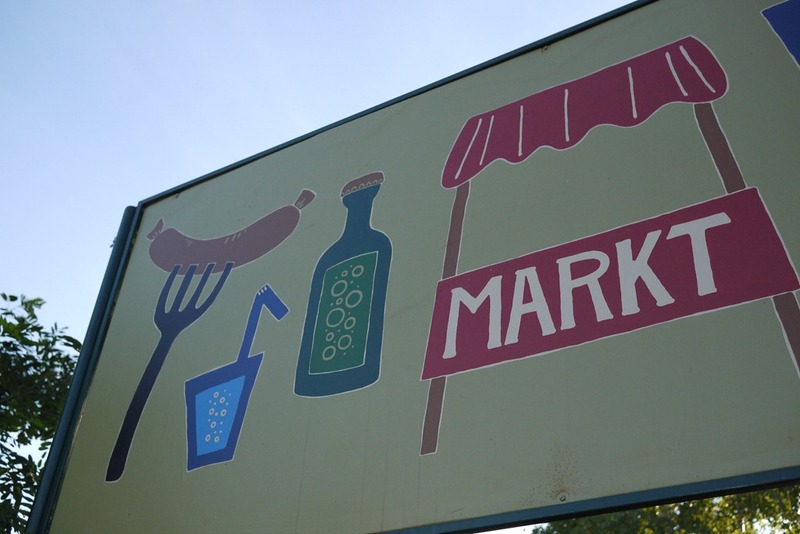 The market is edged by a glorious green space where you may find a super-sized outdoor karaoke session in play, bold buskers and locals with picnic blankets, bbqs and beer. 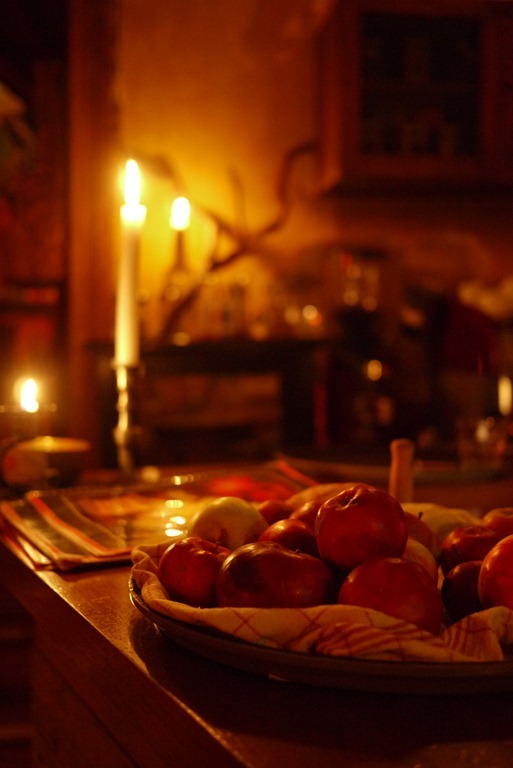 Hunting quirky cafes and bars with bespoke delights could fill weeks, even months, in Berlin. With only a short week to indulge, I tried to see as many as I could and cherished every cosy nook I found to reflect on my urban adventures. Think strong coffee and pot plants, cocktails and red lights, chess boards and rich wine, fruit bowls on bars, toilet graffiti in candlelight and random typewriters in hallways. 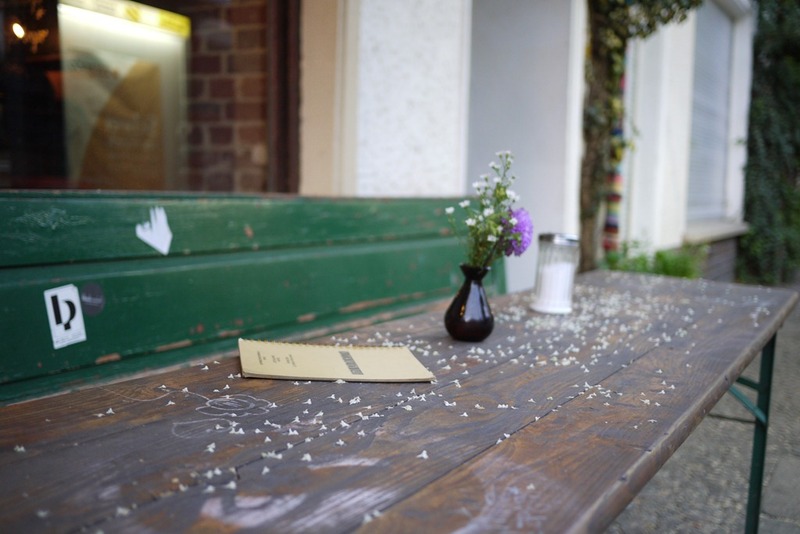 For me, the most interesting cafe region was Kreuzberg, where I found a couple of spots that will likely make my upcoming ‘best cafes of 2012’ post. 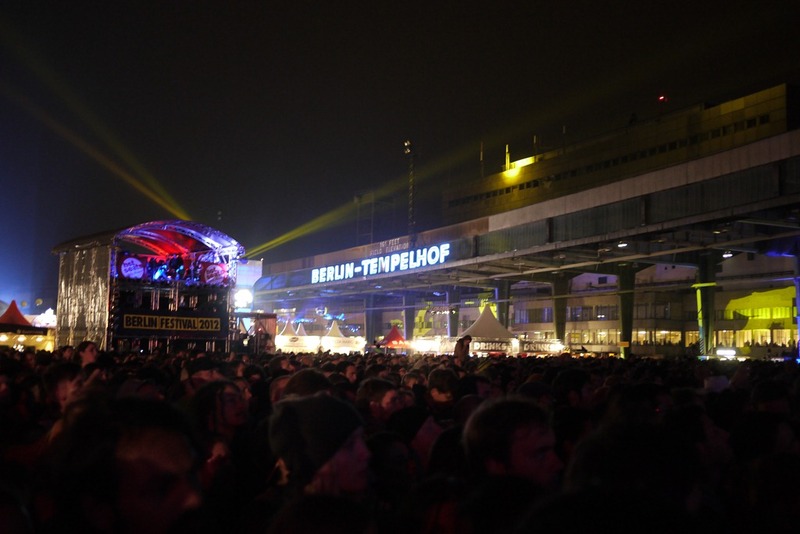 After seven months arriving in a city only a week or two after a big event, we finally landed to find a big, coincidental hurrah: Berlin Music Week and Berlin Festival. 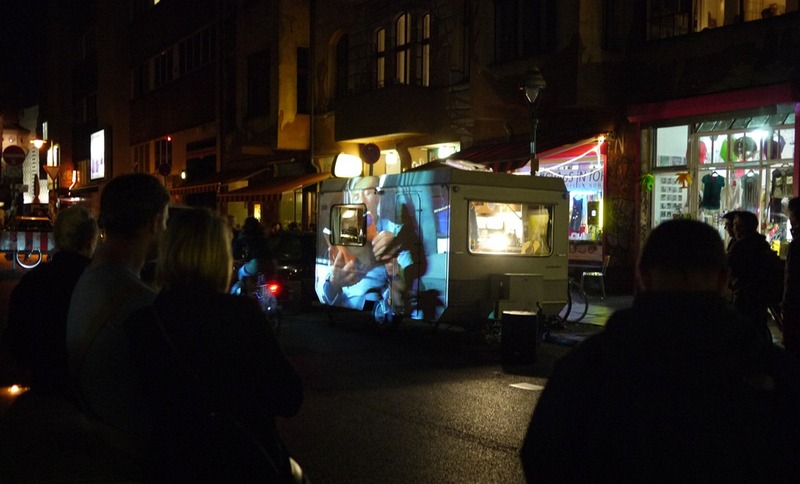 Adding extra colour to the already-vibrant city scape, 2012 Berlin Music Week in early September offered local and international performances in bars, clubs and random ad-hoc street stages, plus a two-day festival at Tempelhof, Berlin’s former airport. 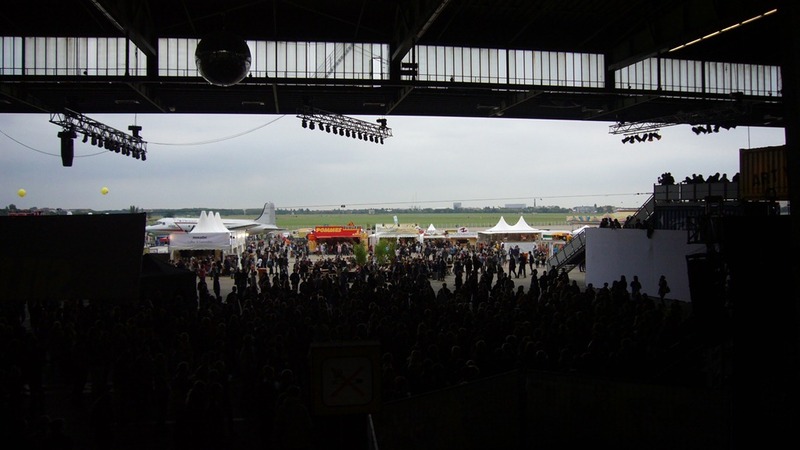 I was enthralled by the festival venue, Tempelhof, where crowds danced in hangers, on runways and around the wings of an aircraft. The tunes were also impressive, Grimes, Mike Snow, The Killers, and many other wonderful acts on stage. There are many shopping delights to discover in Berlin, but for me, the glory of all shopping niches is the roaring Berlin vintage trade. Staying in Kreuzberg, I was well placed to explore the surrounding streets and neighbouring suburb Friedrichshain, where boutique designers mingle among stores of old-school happiness. A healthy supply of vintage and retro wares has created affordable prices (by metropolitan Australian standards anyway), and consequently, very happy shoppers. 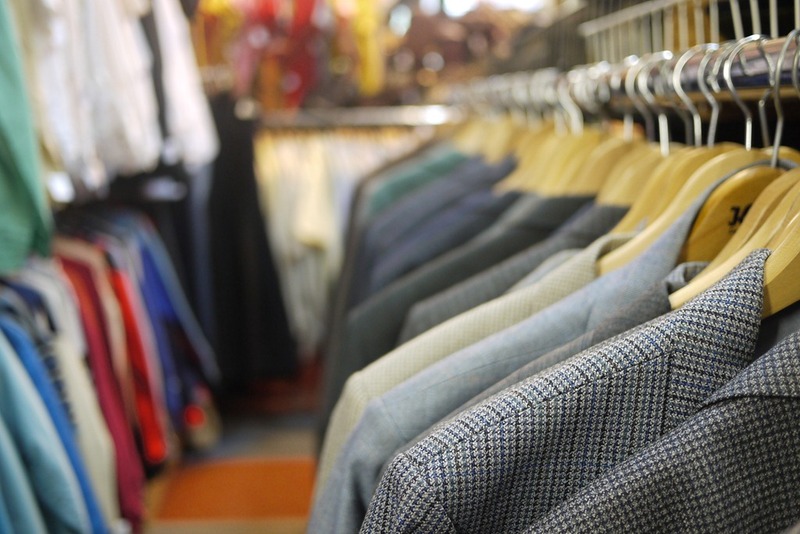 Blazers, hats, suitcases and shoes were in particular abundance, which helped me and my sister whittle away hours while scanning racks and trying on vintage looks. Such was the wonder of shopping in Berlin, that I’m planning to dedicate an entire post to the topic, so keep your eyes peeled for my Berlin shopping tips. 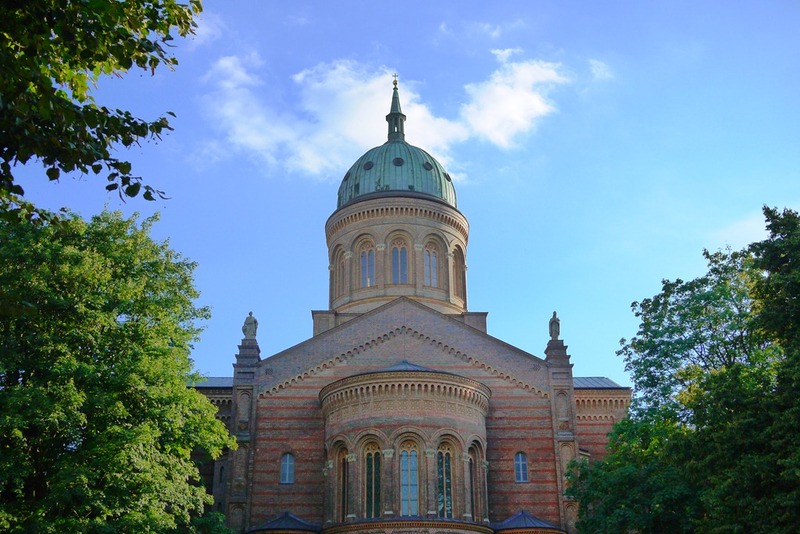 Although the last item in this post, the notable monuments in this city are far from the least exciting attractions in Berlin; in fact, they are as close to big-ticket attractions as any city in Europe can get. Even the second time around, I was impressed by the presence of the Brandenburg gate, the last remaining city gate, which once stood over Napoleon, once witnessed the destruction in the world wars, and once divided East and West Berlin. The Memorial for the Murdered Jews of Europe remains one of the most powerful monuments I’ve encountered. 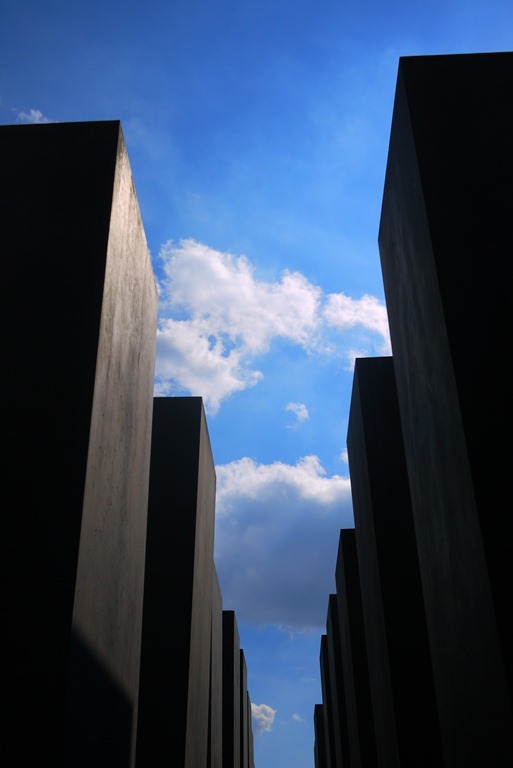 Built of 2711 concrete stelae that undulate across a city block, the memorial is modern and timeless, abstract and graphic, and it creates an eerie experience as you walk through shadow and light to access the subterranean centre filled with photos, stories and personal items of murdered Jews. Access to the centre is free and numbers are moderated at entry to ensure you have time and space to learn and feel all the things that should be learnt and felt about a terrible period in human history. 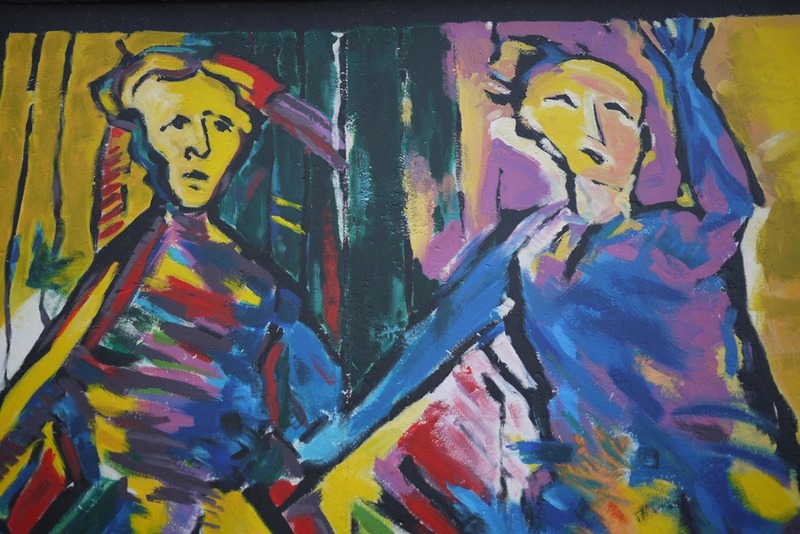 As with almost every other person who has ever been fortunate to visit Berlin, I love-love-loved the East Side Gallery, also known as the Berlin Wall graffiti. This colourful stretch of remaining wall hosts expressions of peace, unity, disappointment and relief; sustaining comments of society and situation long passed. Every time I walk its 1.3km length, I see something new to admire, find something else to ponder. Also worth seeing in Berlin is the Bundestag, or Federal Government House, which is easily recognised in the skyline by its glass dome. 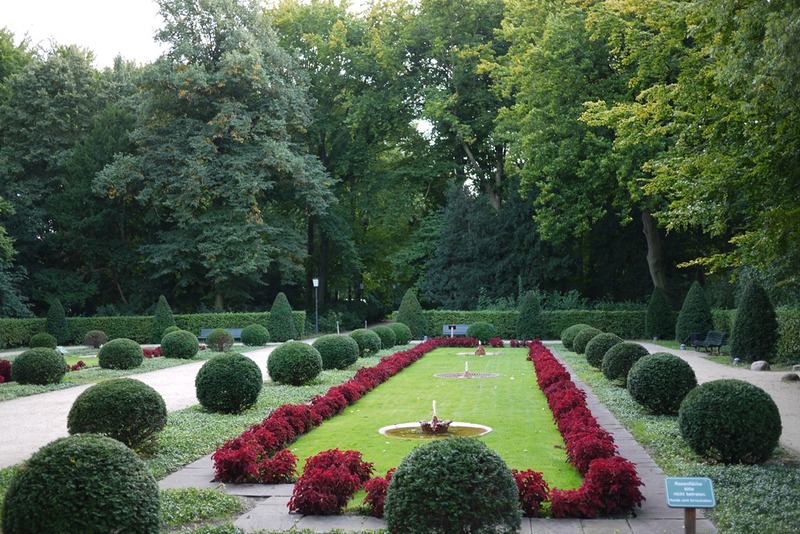 To gain access, you will need to take your passport to the office across the road from the building, on the edge of Tiergarten, and register for a time to visit. The process and wait is worth it though, as a walkway curls within the dome to reveal a spectacular view of the city that at pointed out by the audio guide. So, after all that, I’d like to say a little thanks to a big city of fun. 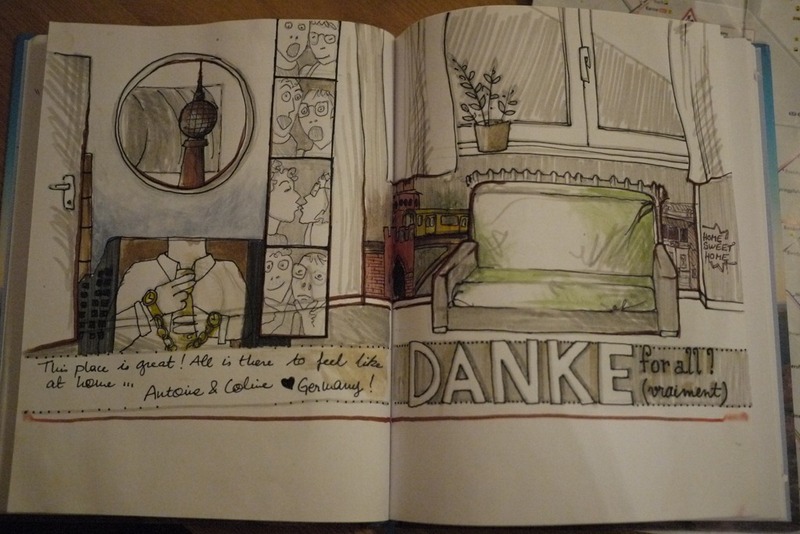 I could not say danke nearly as well as this delightful guestbook entry we found at our apartment, so I’ll just leave you with the image instead. 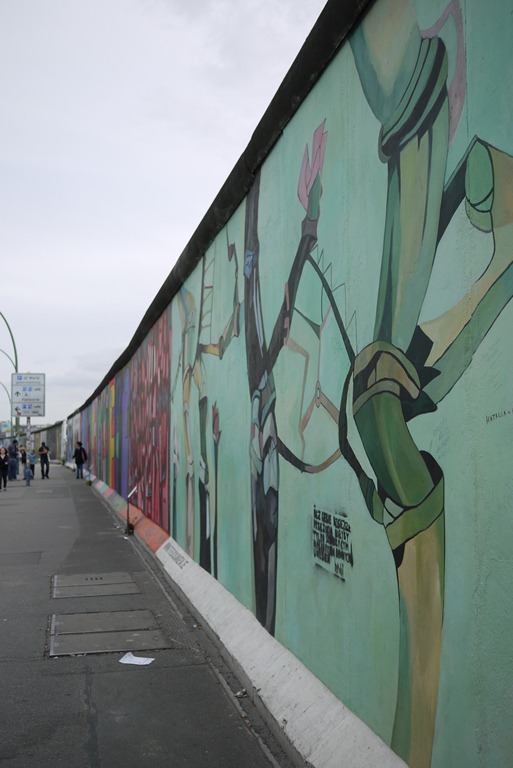 Do you have fond memories of Berlin? I’ve got many more Berlin stories for you, so follow me here and at my Nic Freeman Travel Facebook page to know when I post more about Berlin food, shopping and transport tips. 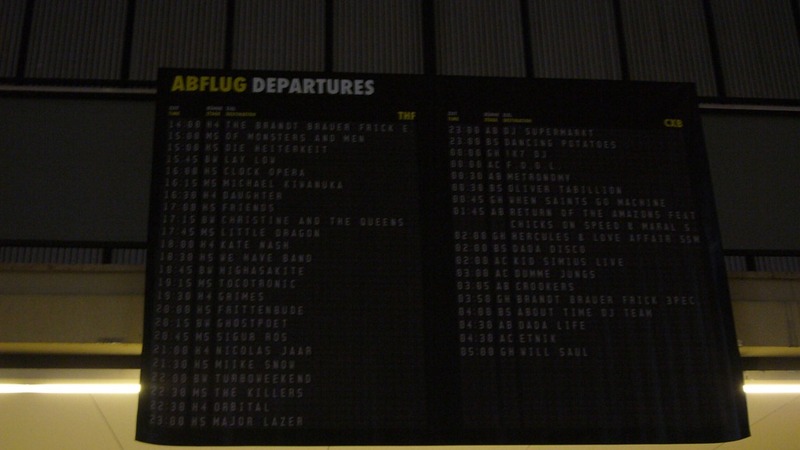 Great blog post, really enjoyed reading this as I’ll be heading to Berlin in just two days for my first visit. Look forward to sharing my own experience of the city – you’ve got some great information here! Hi Ad-Lib Traveller! Thanks for reading. Sorry for the delayed reply (I’ve been camping at the beach in NSW Australia). I have truly enjoyed traveling vicariously with you and your posts are excellent and comprehensive. Is France/Paris in your plans in the near future? Hey Bubbly Tee! Thanks for your lovely comment. I’m happy to have you reading along. Yes, well I went to France (Champagne and Paris) after Berlin, so those stories are coming up very soon! Thanks Jen! Very much appreciate your wonderful feedback. 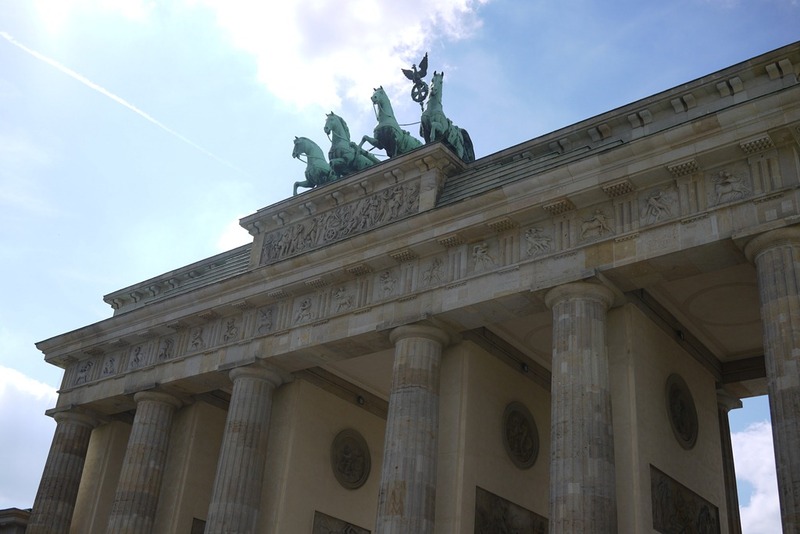 Berlin has been on my must-visit list for so long – everything you described sounds amazing! Very interesting, and the food looks delicious btw. Have you ever been to Malaysia? Thanks SP2013. No, I’ve not yet been to Malaysia… although it’s certainly on the list. I especially love the idea of the food and the jungles. Thank you so much for sharing the details with us. 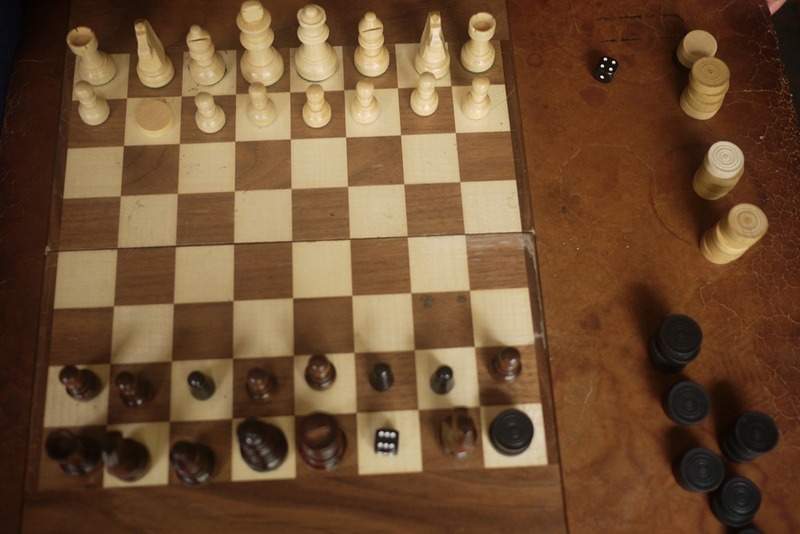 The photos are very good. You are welcome Kurakar. Thanks for reading and commenting! I have been looking so long for a great travel blog, and I have finally found it! Your posts have extremely precise detail, and the pictures accent what is being said perfectly. I love traveling, and since I am not quite old enough to do it on my own, your blog will help me travel through the world without ever leaving home. Again, thank you for the amazing blog posts, I am looking forward to the next post. I’m so glad you found me and my little travel blog. It’s lovely to hear you’ve enjoyed it so far. Sorry for the delayed reply. Ill health has been a little set back lately, but now that I’m on the mend I’m looking forward to sharing more of my travel and everyday adventures. Great to hear from you. Please keep reading and commenting. Berlin what an amazing city. I feel you captured Berlin perfectly in this post.